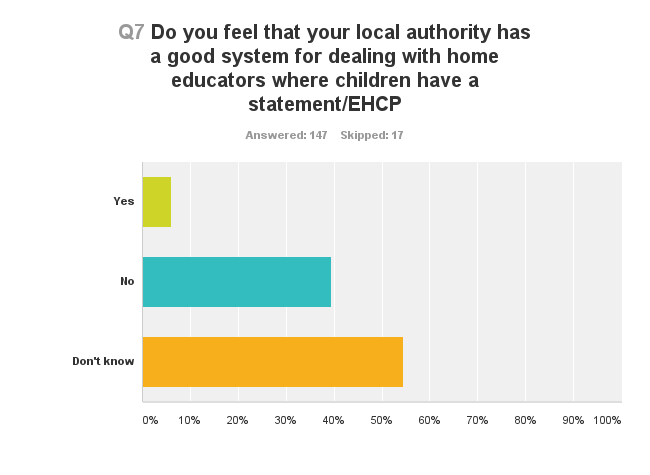 Around a thousand children with a statement of SEN are home educated [LINK]. 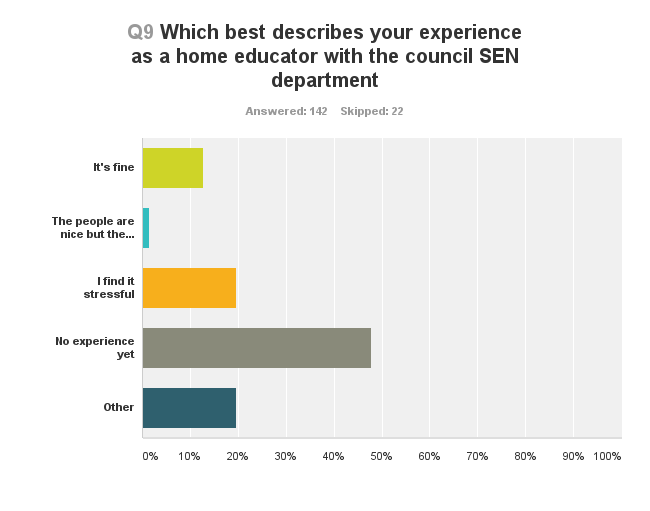 Parents variously described their dealings with the council special needs department as annoying, lonely, stressful, very good, or appalling, depending on where they lived and on the personalities involved. “Why is ‘very good’ not an option here? They have been very helpful.